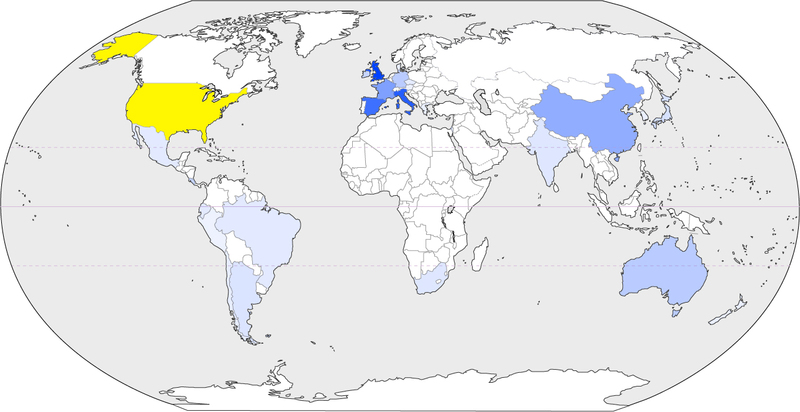 This map is based on statistics from the Institute of International Education regarding the most common study abroad destinations for US students in 2011-2012. Italy in second place? Wow! I wouldn’t have guessed!! UK number one?! Haha, I’m getting away from there ASAP!